I joined the GSM group in November 1984 for its sixth meeting. It was held in London. I had only just come to the DTI from the Home Office where I had been responsible for planning the mobile radio services of a large number of English police forces and fire brigades. At the DTI I was to represent the UK at international bodies responsible for the standardisation of telecommunications networks– a function that the just privatised BT had carried out well – but new network competitors created a need for a light neutral oversight. My new office was in 1 Victoria Street, whose modern looking façade disguised relatively drab offices. The Division I had joined (T-Division) was located on the 5th floor but they had run out of space. I found myself alone in a corner office on the 3rd floor with a partial view of Westminster Abbey. The only member of staff allocated to me left the same week. “Nothing personal” said David Barnes cheerfully. The DTI couldn’t match the £23,000 a year plus car he’d been offered by one of the new cellular radio operators. My new Secretary (Janita) turned out to be more enduring and very competent in planning the hectic travel schedule I was about to be pitched into as I, in turn, threw my all into getting the UK influence felt on the development of the new European Single Market in telecommunications. Compared to the Home Office the DTI was relatively lax in respect of its filing system at the working level. In the Home Office every issue travelled around in huge files carrying anything ever said on an issue. DTI were in the habit of writing scribbled comments on loose minutes that left nobody with any responsibility for record keeping. I could not find any papers anywhere on what the DTI policy was for the GSM, which seemed odd for a committee that already had met 5 times over two years. All David told me before he left was that the aim of GSM was to agree a new standard to enable a pan European service to start in 1988. This left me having to think the issue through from first principles. The UK had unleashed the forces of competition. This alone would diminish the influence of Government. In addition, it was the policy of the Government to let market forces determine outcomes wherever possible. The opening of the new UK cellular radio services was only a few months away. I couldn’t see how our two commercially driven national cellular radio operators, Cellnet and Vodafone, would welcome a new standard emerging as early as 1988. They would surely put pressure on the DTI to try to defend the analogue standard (TACS) the UK had only just adopted. Somebody in BT sent me some past GSM papers and I noted a proposal that the GSM standard should be “digital”. Whilst there were many advantages with digital technology there would also be huge challenges in getting a digital technology to work well enough in the harsh environment of a mobile radio connection, where signals got blocked or reflected by anything in the way. I was sceptical that the digital technology could advance far enough fast enough. The huge problems made it very attractive challenge to a number of European research laboratories. There was a tendency in Europe to have research driven technology, quite divorced from commercial reality, calling the political shots. I feared the research community might see “digitalisation” as an end in itself. It was not tenable, 3 to 4 years after a spectacular take off of cellular radio services in the UK to tell the UK mobile phone companies that they had chosen the wrong technical standard and would have to start all over again. A telecommunications network standard, once selected, was likely to have a life of at least 15 years. That would put the UK beyond the year 2000 for a change of its cellular radio standard. The fact was that the UK government had, metaphorically speaking, put its telecommunications market into a UK boat and was rowing it hard away from continental Europe. A cellular radio service working across Europe looked quite hopeless and this was the prevailing view of most observers at the time. This initial assessment didn’t mean I was not attracted to the idea of a European wide mobile radio service. If I had any role as a senior public official it was to change the course of events in the national interest. But how? The only glimmer of a way through was if the new standard really had compelling commercial advantages over the one the UK had just adopted. That was the axis around which I had to turn the stampeding horses. What were the commercial benefits of a new digital mobile technology? I had worked in CEPT in 1976 on satellite broadcasting and knew that this was likely to involve trying to shift the culture in GSM more towards market objectives. In doing so it was essential to get the two UK mobile radio operators fully engaged in setting what those commercial objectives should be. The GSM meeting was upon me. I had to anchor my market oriented peg in the ground. It was smiles all round when I welcomed the GSM delegates to London. The smiles faded with a statement that it was far from agreed by the UK that GSM should be digital technology. We didn’t object to the idea being explored. However, at the end of the day, the technology had to show itself better than the existing analogue systems. I was a new boy disturbing a very settled consensus. The British Telecom research engineer, who had been attending GSM since its inception, was furious. His senior managers were on the phone to me. But BT’s world had just changed. It was my call. A Norwegian PTT engineer, during one of the coffee breaks, also left me in no doubt that my intervention was not welcome – the gist of his blunt comment was “So you’ve come to sell European industry down the river in mobile radio technology as you did for maritime satellites”. We had known each other in the 1970s where he had been a part of an effort to create a European maritime satellite terminal standard to rival a USA standard that had already been introduced by the US maritime satellite operator COMSAT. In my judgement there was not space in that fragile embryonic market for two competing technical standards. As a young satellite systems engineer in the Ministry of Posts and Telecommunications I’d advised the UK government to back the USA standard (Marisat) and this view had prevailed. Was this the right outcome? The European technology was only a variant and not an advance. It risked damaging the commercial prospects of the service whilst only ever being in line for the second prize by coming late to market. The bigger prize was a viable world-wide maritime satellite service meeting the operational, safety and social needs of the global shipping community. It was the right call. And the lesson I had taken away was that if European industry was to win with the GSM technology – Europe had to be first and not second in bringing its technology to market. Timing was everything. Just before the London GSM meeting in 1984, decisions were taken in France and Germany that were to have far reaching consequences. It was to pluck GSM out from being a third division activity of minor technical interest to the premier league of European political-industrial policy. It was the pattern of European leadership in the 80’s that if anything new and progressive emerged in the EU – it usually came out of the crucible of the Franco-German bi-lateral relationship. Franco-German government co-operation had been institutionalised by an annual meeting of the two Heads of State. In advance of this ministers of the various ministries would meet to cement new co-operation deals. They were fed the options in the preceding months of horse-trading between their respective officials. The German research ministry had been sponsoring some research into digital cellular radio with an industrial company called SEL. It was well known in the mobile radio world that the Matra system, that France Telecom had been persuaded to pick up, had insufficient capacity to last France much beyond 1988. The German industrial policy vision was to set up a Franco-German industrial consortium to pick up the SEL digital technology and for France Telecom to adopt it for its operational needs. The German PTT (Post, Telephone and Telegraph administration ie the telephone company) would then follow and adopt the same technology when capacity limitations also required it to bring in a new system. This was thought (at the time) to be later due to Germany having a higher capacity analogue system than the one France had deployed. The SEL technology came out of the military stable and was called Wide band TDMA. The TDMA stood for Time Division Multiple Access. It was a way of arranging a number of mobile telephone users to time share the same radio channel. “Wide band” meant that there was a very large number of concurrent telephone calls to be carried, so the radio channel had to be very wide to accommodate them all. Those responsible for operational services were not going to make a leap into the dark… whatever the industrial policy ambitions. The experts from two PTT’s had written into the agreement that practical tests should precede any commitment for operational use. The French experts squeezed into the agreement that the field trials should also look at the technology that they had been exploring. This was a technology called narrow band TDMA. This effectively turned the field trials into comparative tests. However, to those outside there was a widely held assumption that if the SEL wide band TDMA technology proved itself, it would be adopted. (Note: the German and French officials involved at the time considered this widely held perception to have been wide off the mark). This political initiative fitted in neatly with the current thinking in GSM that the next generation system should be digital. The strategy of the French and German officials coming to GSM was clear. They had to deliver a European standard wrapped around the technology emerging from the Franco-German trials. In this way a European size of market would be created. French and German industry would then be uniquely placed to supply this market. They could then leap-frog over all the present first-generation suppliers and assume a leading position. The deal was cemented through a political declaration at a Franco-German summit in October 1984. While this high level politics had been taking place in continental Europe I’d been developing some new thinking in the considerably less stratospheric 3rd floor of 1 Victoria Street. I’d been nudged into it by a chance meeting with an engineer from Racal. I was sitting next to him at a meeting. The meeting started late and we had a few minutes to introduce ourselves and have a brief chat. His name was Ted Beddoes. He was a very good radio engineer bubbling with enthusiasm. Up to then I had been quite sceptical on the digital technology being able to deliver clear advantages within the time-scales being envisaged. To my surprise I found him much more bullish. This had a lot to do with Racal’s background in military radio. The enthusiasm of a senior engineer from one of our major players caused me to accelerate the second part of my strategy and that was to engage the two UK mobile radio operators in thinking through what a digital cellular radio technology had to deliver commercially. The DTI had one really valuable card to play – frequency spectrum. Europe’s frequency managers met from time to time in a CEPT Group called R21 chaired by Klaus Olms of Germany. They had been visionary enough in 1982 to pencil-in 10 MHz of radio spectrum at 900 MHz reserved “for a pan European cellular radio service”. David Court and his colleagues in the DTI’s radio regulatory division had managed to keep this intact in the UK in spite of DTI Ministers’ rush to license analogue cellular radio services. At some point in time the operators would want to get their hands on this radio spectrum and this provided a route by which a European standard could be introduced into the market. It was elegant in that it did not impose a technology on anyone. The mobile operators would be free to accept the new spectrum or not, but the technology strings attached would serve the wider public interest of a European wide mobile radio service. (These radio frequencies will be referred to in this account as the GSM frequency channels). I brought around the table the technical directors of the two UK mobile radio companies. They were completely preoccupied with making a success of their present analogue cellular radio networks. There were two barriers to surmount. The first was for them not to see any new emerging GSM standard as a threat. If that happened I would be sunk. I had no technical resources of my own. The second barrier was at least some prospect, no matter how vague, to pick up and commercially exploit a new standard. My carrot was the reserved GSM frequency channels. The meeting opened with a “motherhood” question – if a technology emerged which offered to improve their business – would they want to adopt it? “Yes” they replied. My next question was get them to list the factors which they saw as being important to the success of their business. I then proposed that these should be the criteria by which we judged whether to agree to any emerging GSM digital cellular radio standard. We will come later to the significance of adding “Viability of hand portables” but a picture of the world’s first cellular mobile radio with its inventor, Dr Martin Cooper, summed up the challenge. It was then necessary to set the threshold for this agreement. For each item I reasoned that the new standard should result in a performance no worse than that being achieved by their present networks. But in order to qualify as a second-generation standard then surely the very minimum should be that one of the factors be significantly better. I held my breath. Only one factor being significantly better? Slightly to my own surprise the Technical Directors from both operators readily agreed. Perhaps it was not surprising as they were the Technical Directors and I was pushing at half opened doors. The real test would come with their CEO’s and commercial divisions. Positioning is important before entering any diplomatic argument. The criteria the operators had agreed offered scope for manoeuvre. Nobody could seriously argue with the logic that a second-generation should be better in some way than the first-generation standard it is supposed to replace. The rest of Europe couldn’t claim that our threshold was being set deliberately high to shoot down the emerging standard. We were only calling for one factor to be significantly better! If the chosen digital technology didn’t even measure up to this minimal threshold – we had a valid excuse for bailing out. The politicians, press and public would understand perfectly well how reasonable we were being in declining to accept a second generation standard which wasn’t as good as the one we had. Re-enter the UK analogue standard (TACS) onto the European agenda? On the other hand, if the digital technology did measure up to the threshold there would then be clearly something in it for the UK operators and the public. By getting the experts from the operators themselves to define the factors I had them working with me to define the standard. I knew that this may not be sufficient for them to consider putting any emerging GSM standard into commercial service. Far from it. But it created space in which the UK could move. 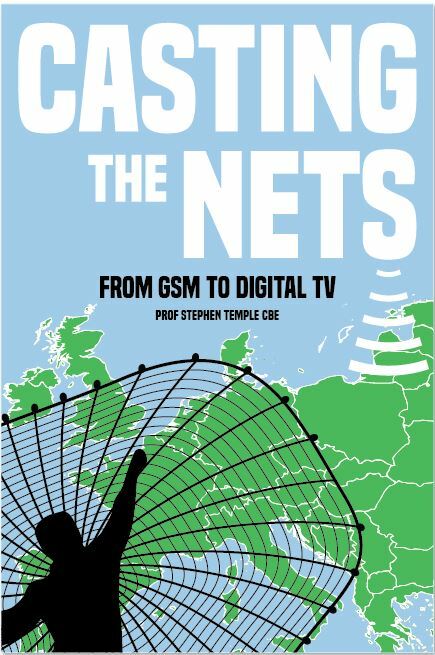 I worked that evening writing-up a UK contribution for the next GSM meeting. The next GSM meeting took place in Oslo in February 1985. Snow was on the ground. On my way to the meeting place I stepped off a pavement onto what I thought was compressed snow but the snow surface hid a pool of icy water below that flooded into my shoe. It was a sign of things to come. My expectation was of a relatively straightforward run at the GSM meeting. Also arriving to the meeting were officials from France and Germany who had carefully co-ordinated their positions. They wanted a full-time task team (which was known in CEPT circles as a permanent nucleus) set up immediately to draft the standard along the lines their industries were developing. The idea of such a task team had been around since 1982 and even supported by a European Commission Official. But the first time I came across it was in Norway and assume that it was essential to demonstrate to French and German Ministers that the pressing time scales set by the French operational needs could be met. The French needed a new high capacity system by 1988. The UK operators would fall off the wagon on that sort of short time-scale. So, throughout the meeting I resisted setting up such a task team. I said it was premature. The French and German tabled a paper, which set out the time scale of their field trials. They hadn’t entirely thought through the practicalities. Until the field trials were over there was very little for such a team to do on the standard itself. This was the first casualty of the French putting in alternative approaches in the field trial. I tabled an alternative action plan, based on the French/German contribution, but factoring in the delays the trials would inevitably create and it got support. They lost ground. But I was also to lose ground. The UK ideas on the selection criteria were skilfully manoeuvred into a ditch. The French and German Officials proposed in the main GSM meeting that my paper on the five criteria should be put to a working party for detailed consideration. By the end of the week it hadn’t even been discussed. Thomas Haug was most apologetic. It had somehow just got lost. The research/technology led culture in the GSM in 1984 had no inclination to allow in any barriers in the way of a new digital technology.